The internet has truly been on fire ever since Kim Burrell went on a homophobic rant during a sermon last week. Earlier today Janelle Monae & daytime talk show host Ellen officially confirmed that she would not be appearing onThe Ellen DeGeneres Show. 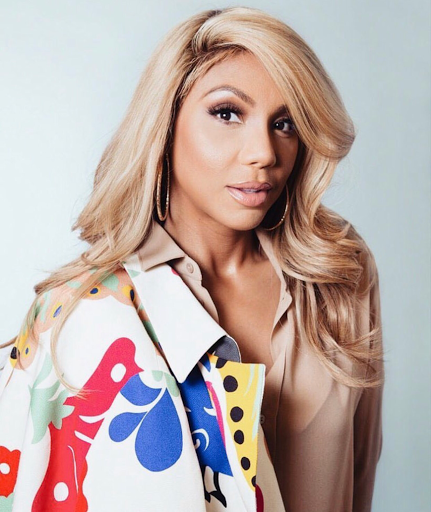 Popular & outspoken star Tamar Braxton has now spoken out regarding the situation & looked at the situation from both sides of pre-taught religion & the understanding of how individuals of the LGBT community feel. Mrs. Braxton-Herbert took to instagram as she reposted Ellen's twitter announced about Burrell not being a guest on her show. With the repost she added her very own lengthy caption that had a lot of truth in it. put your hands up....🖐🏽That's ALL I'm asking🙄 everyone KNOWs I'm a huge supporter... But that is NOT the issue!! When u are taught something it takes something like THIS for you to LEARN!! Period! I personally think she SHOULD have her on the show so she can LEARN a thing or two!! That's all I'm saying... #goingbackinmyboxnow✌🏼️GOD IS LOVE!! There is NO sin in HIM!! Period!! !